Sewer lines are things that we take for granted, but bad things can happen to perfectly good lines and then it’s time to bring in the professionals. For example, the flooding our area experienced last month can cause sewer lines to become blocked by foreign objects or to crack, shift, or sink due to oversaturated soil conditions. A gurgling noise coming from your toilet signals a sewer backup. Water is draining slower than usual. If you’ve made sure that there are no drain clogs, it’s a sewer blockage. A sinkhole appears in your yard and it’s giving off an unpleasant odor. Everyone knows that sewer repair work is not the least expensive undertaking. 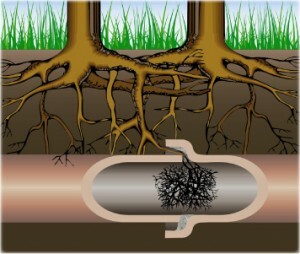 Consider a professional’s opinion about the condition of existing pipes, and whether it will be more cost-effective in the long run to replace the whole system rather than risk patching different parts of an aging system again and again. The general guideline is that if a repair is 50% or more of the cost of replacement, go ahead with the replacement. Many professionals offer video inspections of pipes, which involves sending a small camera into the lines to diagnose problems completely and accurately without digging up an entire system. In addition to saving the expense and damage of traditional inspection, video inspections allow the plumber to give the homeowner a visual tour of the structural problems. That way the homeowner can see what repairs need to be done. Get recommendations from friends, family, or co-workers. Get the plumber’s license number, bonding, and insuring agencies. Check these with the issuing agencies. Ensure the written estimate includes everything that you and the plumber discuss. Ask lots of questions. Remember, this is your home and repairing or replacing sewer lines is expensive. While not anyone’s favorite repair, sewer repair is essential to the safety of your home; if you suspect a problem, call us today.